Take the opportunity to walk the jungle in a seven days trip of Uganda with multiple safaris and primate treks covering four national parks that have the highest wildlife density in Uganda. You will be travelling south through the Albertine rift. From the top of Murchison falls you will appreciate the natural wonders of Uganda. Cruise the Nile and the Kazinga channel to witness a paradise of wildlife and birds as they cool off, at close range. 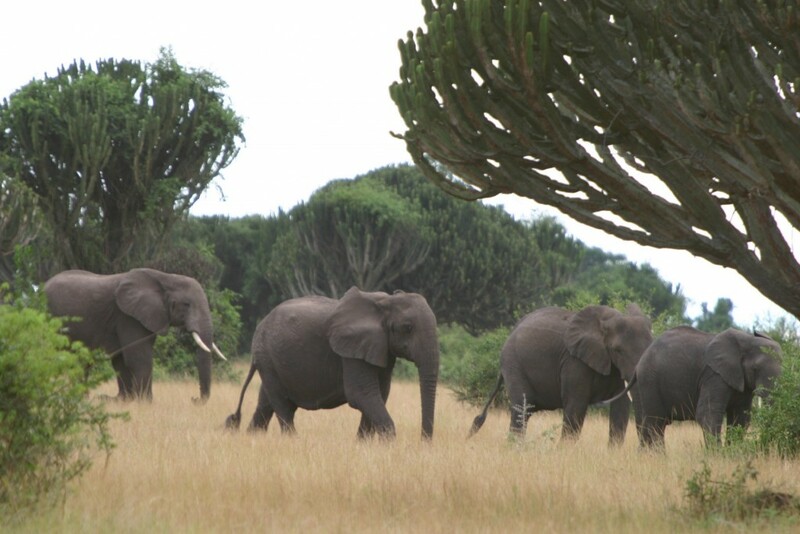 The trip takes you to a selection of national parks that are representative of Ugandas rich natural habitat. You will be looking for the big five during this wildlife safaris inside Murchison falls national park, Uganda oldest protected area and Queen Elizabeth national parks, the most popular wildlife area. you will spend time with the chimps and other primates in Kibale national park, the best place to see chimpanzees in their natural habitat and with the highest chimpanzee and primate population density. at the end of the trip you will visit the gorillas in Bwindi impenetrable forest, home to more than half the population of the mountain gorillas in the wild. This trip is matched with the following accommodations in the different categories.